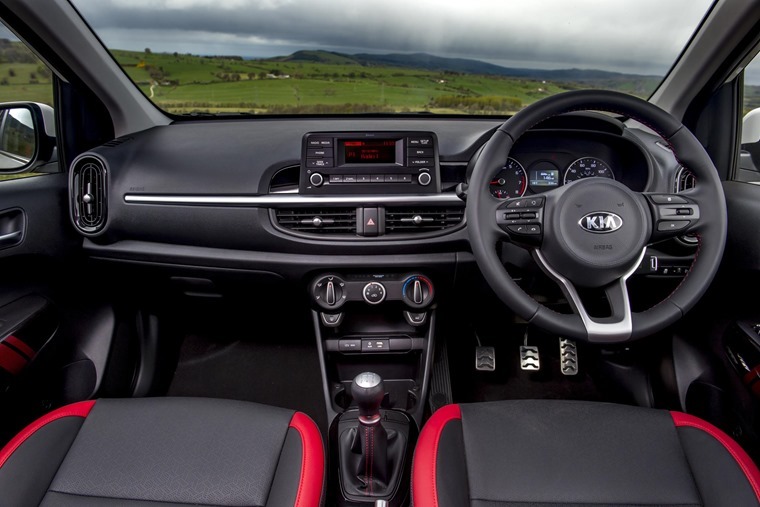 Compared to rivals, the Kia Picanto is the complete package. Complaints are few and far between, while the positive aspects keep coming. Our city car of choice. Good things come in small packages, so said somebody important once. It doesn’t matter who said it, when they said it, or what they were talking about, as Kia has proven that it’s entirely accurate. 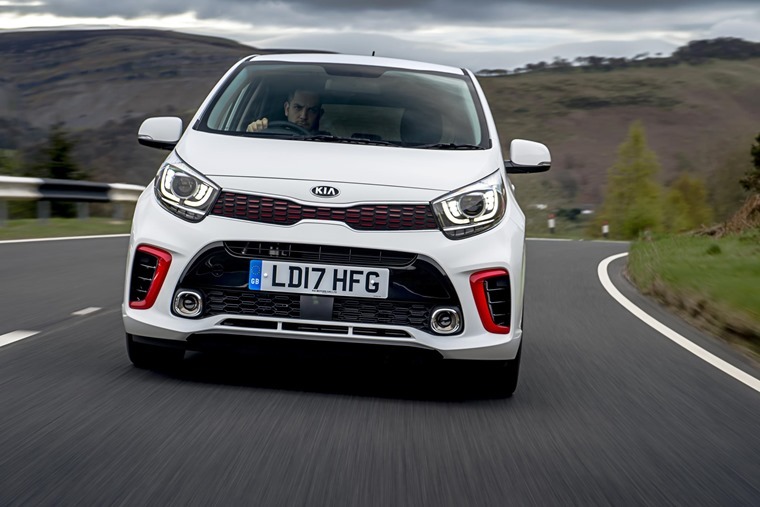 The new Picanto is obviously a good car then, but it’s such a big deal for Kia that it probably needs to be better than that if only to eradicate thoughts of the dull-but-worthy Picanto of old. The engine is eager to give up its power, and that makes swift progress reasonably easy. 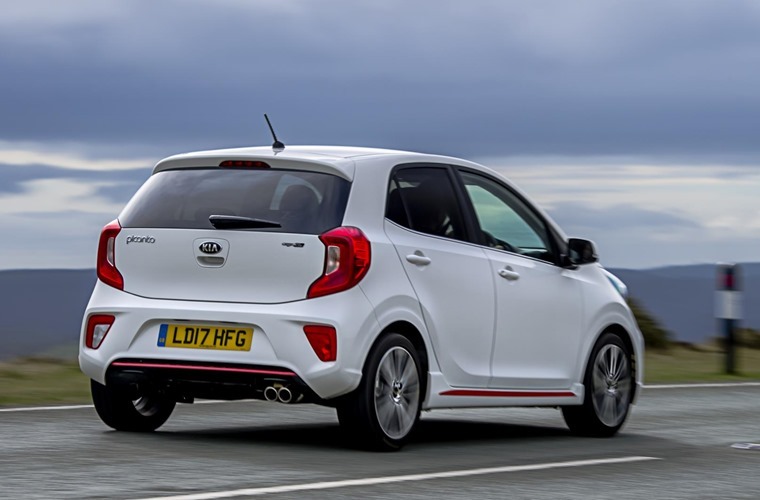 The new Picanto is a sharply styled car, appealing to a younger audience than previous incarnations. That’s turned up to 11 with the GT Line spec tested here, thanks to the addition of spoilers, skirts, red detailing and twin exhausts. Step inside and there’s more red highlights around the cabin, as well as some stylish stainless steel pedals. It’s every bit the hot hatch cosmetically, but there’s just 83bhp available from the 1.25-litre engine under the bonnet. Low-speed handling is exemplary, with a level of agility that’s lacking from many rivals. The Picanto won’t be rivalling the Fiesta ST any time soon, but that doesn’t mean it’s a bad car by any stretch. The engine is eager to give up its power, and that makes swift progress reasonably easy. It’s at its best around town, where some well-chosen gear ratios make it zippier than that 0-63mph time of 11.6 seconds suggests, but there’s still enough in reserve to keep up with motorway traffic. 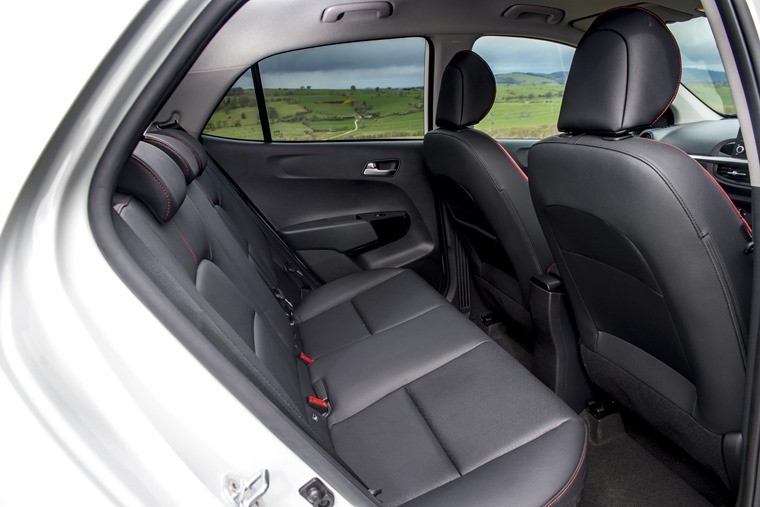 There’s more than enough room up front [..] and there’s just about enough room behind for adults to sit comfortably. The ride quality suffers a little bit on our potholed urban roads, but it settles down nicely at speed. Low-speed handling is exemplary, with a level of agility that’s lacking from many rivals. The wheel-at-each-corner stance leaves it feeling planted while zipping into side roads or quickly reversing into that last parking space. Surprisingly, once it’s on an open country road, it actually feels quite involving with the chassis imbibed with the sort of zest you might expect from Ford’s hot hatch engineers. All of this bodes particularly well for the forthcoming 100bhp model. All the sporty styling and handling prowess counts for naught if the city car fails at doing what a city car needs to do, and fortunately there's no issues there either. Running costs should be low however, with 61.4mpg promised. There’s more than enough room up front, although the seat and steering wheel don't adjust quite as far as I might like, and there’s just about enough room behind for adults to sit comfortably. Even the boot is a decent enough size, holding 255 litres of stuff which expands to 1,010 litres with the split/folding rear seats stowed away - more than you’ll find in a Fiesta. 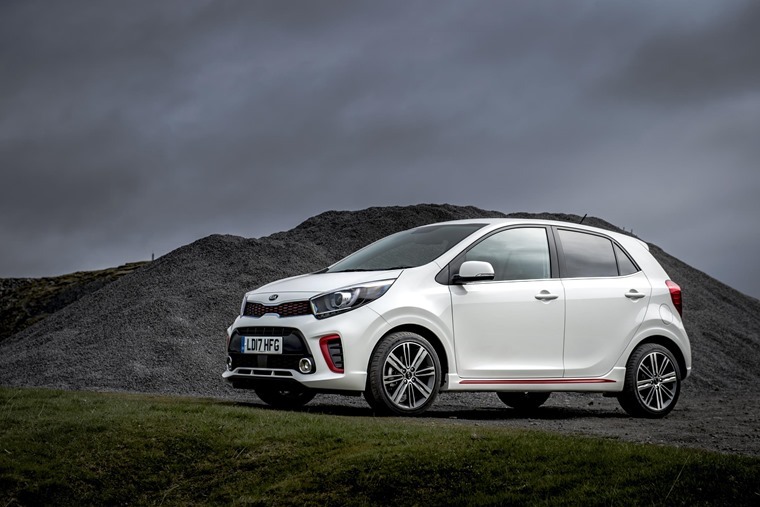 The Picanto really is the complete package. Complaints are few and far between, while the positive aspects keep coming. There’s probably more equipment too, with even the basic ‘1’ spec car coming with electric windows, USB ports, automatic headlights and hill-start assist among many other items. Stepping up to this GT Line car also adds autonomous emergency braking, 16-inch alloy wheels, air conditioning and Bluetooth connectivity. However, for just £200 extra the ‘3’ spec car adds even more toys - including a seven-inch touchscreen infotainment system with Apple CarPlay and Android Auto. Alas, this is at the expense of the sporty cosmetic add-ons giving you the choice of style or function. There is a model that combines both aspects, the GT Line S, but at £14k that’s beginning to get quite expensive. Running costs should be low however, with 61.4mpg promised from the official testing. Servicing is every year or 10,000 miles, and the first three years can be sorted for an additional £359, giving you fixed cost motoring until MOT time. Even then you’re covered by Kia’s seven-year warranty, leaving buyers with very little to worry about. 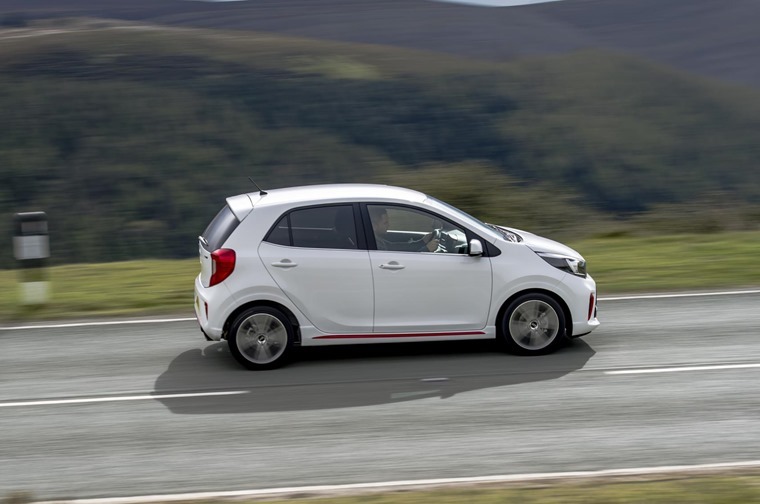 The Picanto really is the complete package. Complaints are few and far between, while the positive aspects keep coming. Yes, there’s some odd specification decisions in places, and some of the interior isn’t quite as stylish as the exterior, but the Picanto really can claim a place among the best of the city cars. 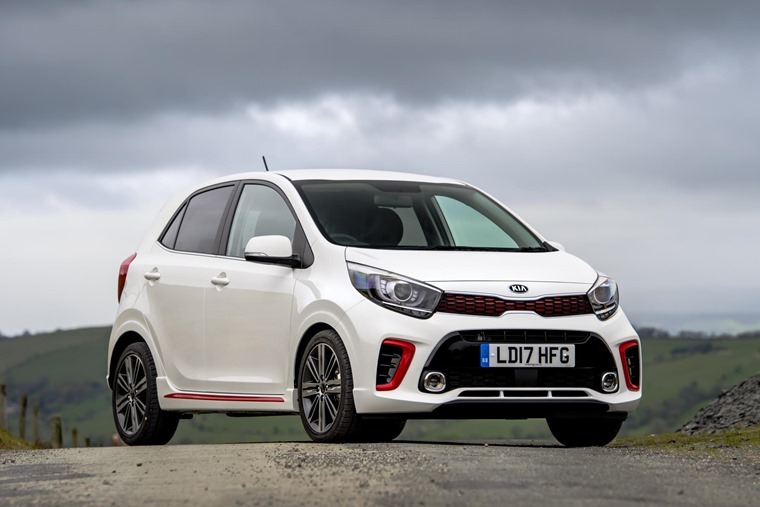 The Volkswagen Up just undercuts the Picanto on price but isn’t as accomplished a drive, while Hyundai’s i10 lacks the visual flair and charm of the Kia. So, for me, it’s gone straight in at number one.